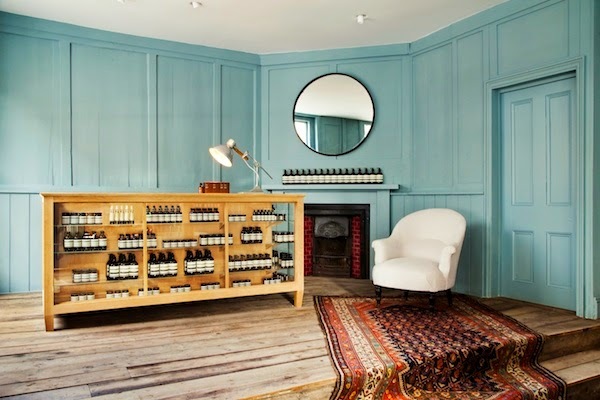 A week ago we visited Aesop's latest store in the UK, situated in the gorgeous suburb of Richmond, Surrey. The store occupies a Georgian house and is situated near Richmond Park, Kew Gardens and the River Thames. While most retail stores would often opt for a uniformed and signature look, each Aesop store is in a way uniquely different yet unmistakably Aesop. I love to visit each store to marvel at the interior and architecture, and I documented quite a few on here over the years. 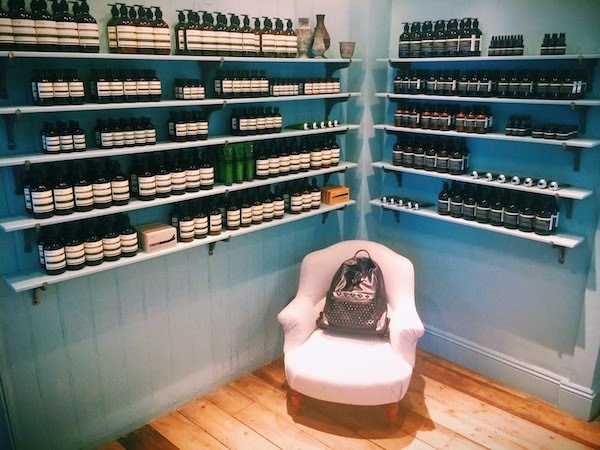 For most of the Aesop stores I visited, the interior were stripped back and some vintage utility pieces from around the area were beautifully restored and kept. 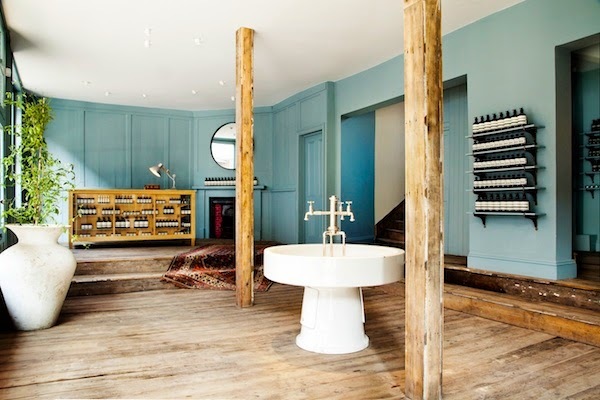 The same goes for the Aesop Richmond store, where their in-house design team went for lots of raw floorboards, minimal furnishings and a soft palette. A sunken living room and Georgian fireplace remain undisturbed; together they kindle intimacy and warmth, alluding to the building’s residential origins. In the top picture above, the functional washing basin in the middle of the store used to be a sink where fishmongers would descale their fishes. 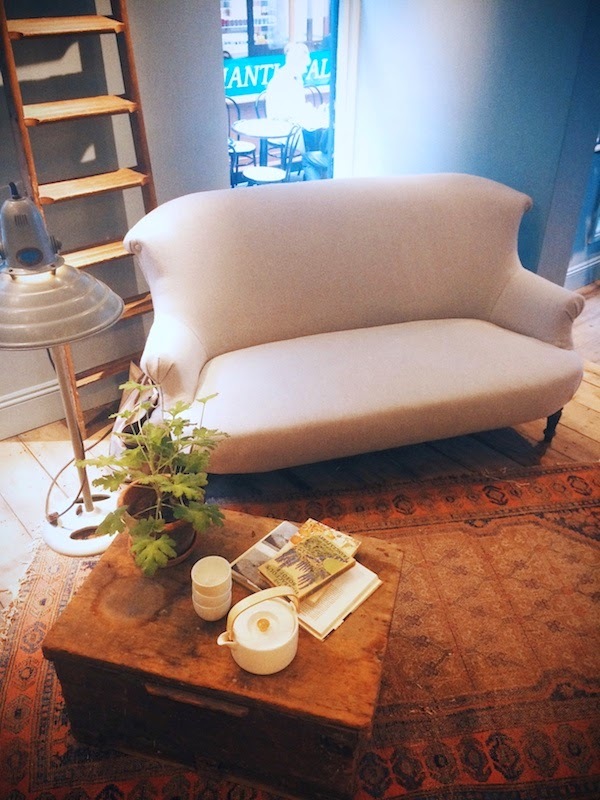 Found in a local market and carefully restored, the basin is now given a new lease of life. Probably sounds a little odd now that it is the centrepiece of a skincare shop, but it nicely respects the area and heritage. I thought it is simply stunning. 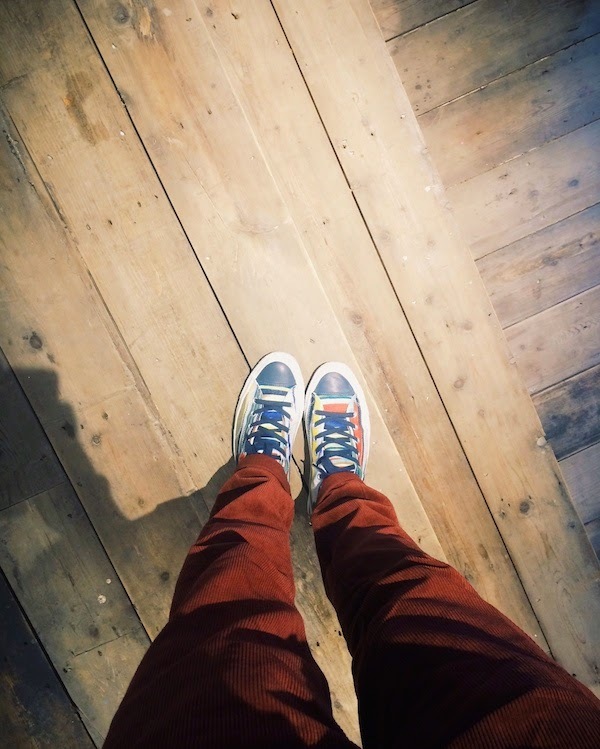 Love the beautiful wooden flooring, and additions of the carpets and natural greenery to soften the interior. 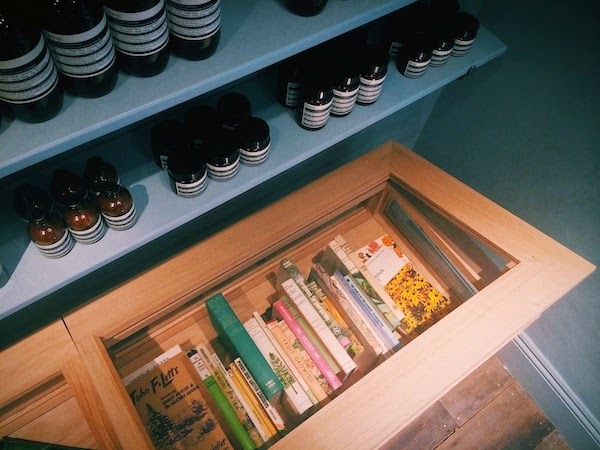 Most recently, the site was home to a children’s bookstore, and Aesop kept some of the books, where customers can sit and have a read too. Love the beautiful and calming interior. Probably gone a little overboard marvelling at the design and learning about the area's history, but let's talk about their products in another blog post, including their wonderful festive gift kits. If you are around the area, do pop in to have a look. 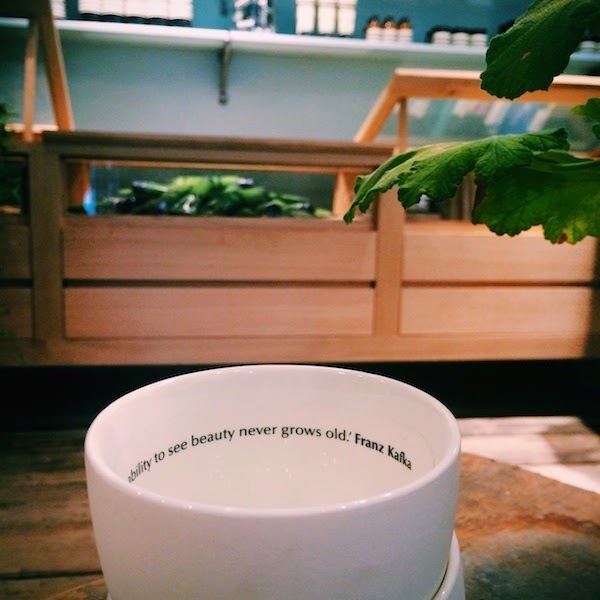 Aesop Richmond is at No. 19 King Street, Richmond, TW9 1ND.